*Pictured is the Dreaming Way Tarot and the Dondorf style Lenormand by Konigs Furt. I love the Dreaming Way and sometimes feel I’m the only one who does. 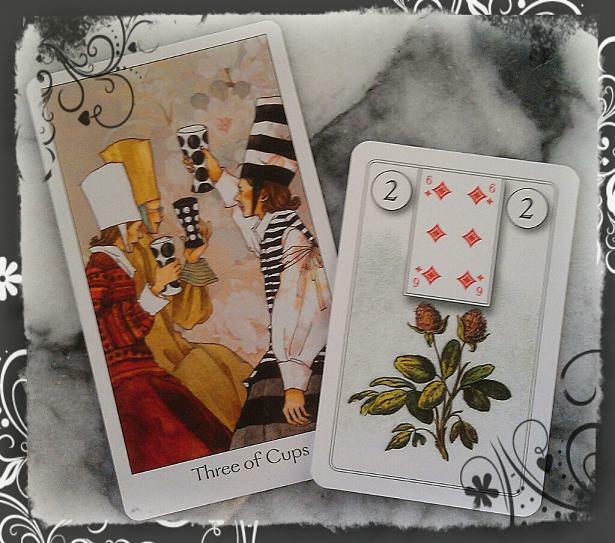 I rarely use the Lenormand with other decks, I usually do comparisons of Lenormand decks within themselves. I must try to use it with other decks–it is certainly visually appealing to do so. This example is beautiful.